Wewoka Window Works began in 1987 with the guidance of Dennis Myers. Dennis, formerly in the construction industry, found it difficult to find historically correct window replacement sash and window units. 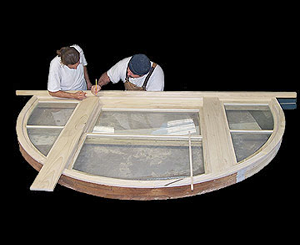 With the goal of beginning a company to provide products for historical restoration projects with excellent one-on-one customer service, Wewoka Window Works was born. Each window you buy from us is handmade. While other companies have resorted to quantity, we have remained with the fact that old-fashioned handmade quality is what customers are seeking for their projects. Wewoka Window Works offers more than just replacement windows. 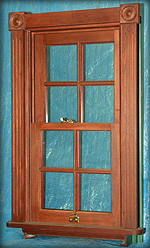 We provide a variety of custom wood windows, doors, and moldings, as well as replacement sashes, thermal windows, our trademarked Weather Defense Windows and sash upgrading kits. Our windows are made with pride in our manufacturing facilities in southeastern Oklahoma. We ship nationwide and use quality lumber and supplies from Oklahoma and the United States. Wewoka Window Works offers yesterday's hand-crafted quality and beauty with today's accessibility that meets tomorrow's technology needs. If you are looking for those hard to find parts or supplies needed for renovations or restoration, give us a call.